The game asks players to take pictures of dinosaurs to fill their photography museums. Snapimals creator BebopBee announced the launch of Jurassic Go: Dinosaur Snap Adventures on iOS. The game asks players to take pictures of dinosaurs to fill their photography museums. 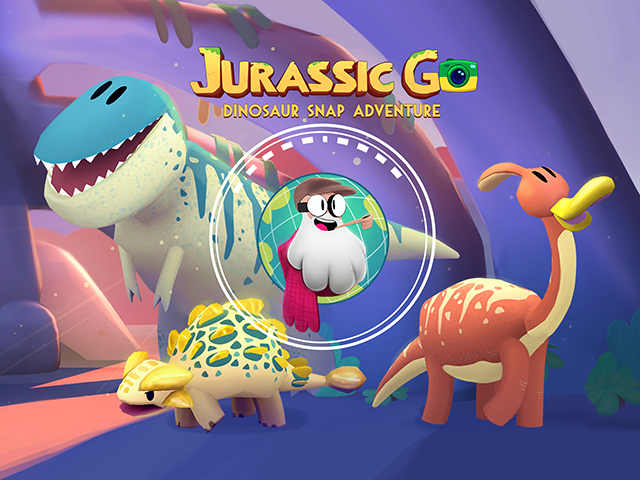 In Jurassic Go: Dinosaur Snap Adventures, players move through different environments automatically, and they can take pictures of dinosaurs in different locations or poses to fulfill photo requests at their museums. For instance, gamers may be asked to take a picture of a sleeping baby triceratops. Users can take a limited number of photos during each stage, and they can select three of those pictures to be judged at the end. Each of the three pictures receives a quality rating and a score based on three factors: size, spot and angle. Over time, gamers can take multiple pictures that fulfill the same requests, and the best pictures, in terms of scores, will remain in their museums. Pictures with lower scores, or those that don’t fulfill requests, are sent away as post cards. Different dinosaurs may appear each time players access the same levels, and dinosaurs may also be in different locations or poses from one game to the next. In addition, each photo request can only be fulfilled in a specific location, like the Swamp or Crater. While playing, gamers can throw toys at dinosaurs or play a harmonica in an attempt to attract the animals’ attention. Players may need to use the toys or the harmonica to complete some photo requests. Unlike Snapimals, which includes an energy system limiting players’ session length, Jurassic Go: Dinosaur Snap Adventures does not include an energy system. Our fans loved Snapimals, but we kept hearing the same request time and again: “Give us a way to buy out of the energy system.” Jurassic Go is our answer to those players. By offering Jurassic Go as a one-time purchase, anyone can enjoy the fun of Snapimals without worrying about free-to-play friction. There are no energy timers to worry about or in-app purchases to buy. With Jurassic Go, you can play as much as you want, anytime you want. Jurassic Go: Dinosaur Snap Adventures is available to download for $3.99 on the iTunes App Store. The game is coming soon to Android.